Mobility for a delicious exhibition appearance. 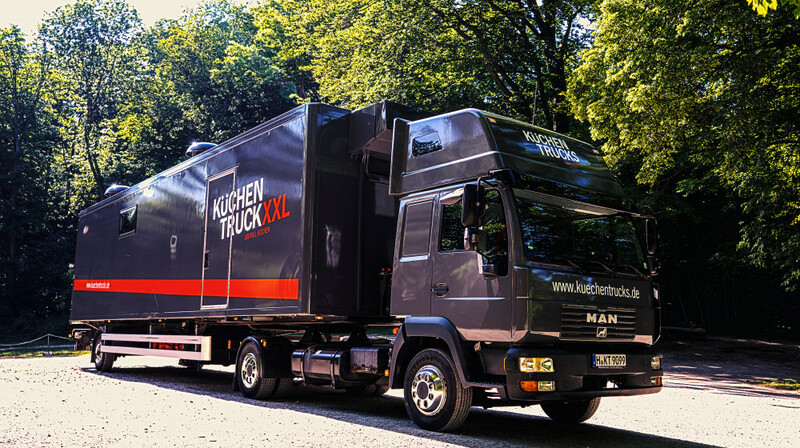 Thanks to an extra marquee and three combi steamers, the KüchenTruck XXL will let you keep up to 5000 hungry visitors happy. The 18 m2 cold store will ensure that you remain cool even on long, hot exhibition days. 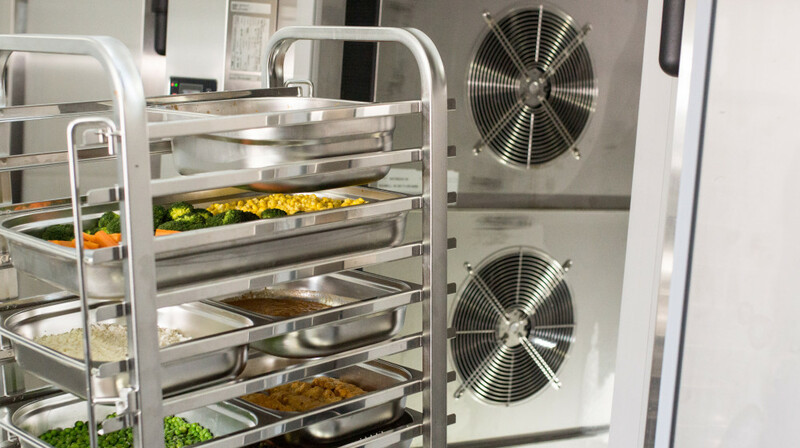 If you’d like to make a flexible and effective appearance, then the KüchenTruck L is the choice for you: its folding side wall can be used to serve your customers directly from the truck or impress them with some spectacular show-cooking. Ready to get your exhibition going? Then book your KüchenTruck now. 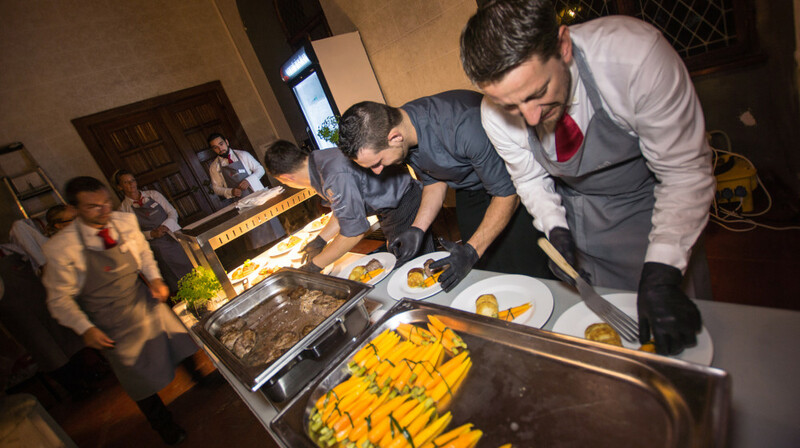 We can also take care of the catering – together with our partners vomfeinsten Catering & Service GmbH we can offer you an all-round complete package including catering. 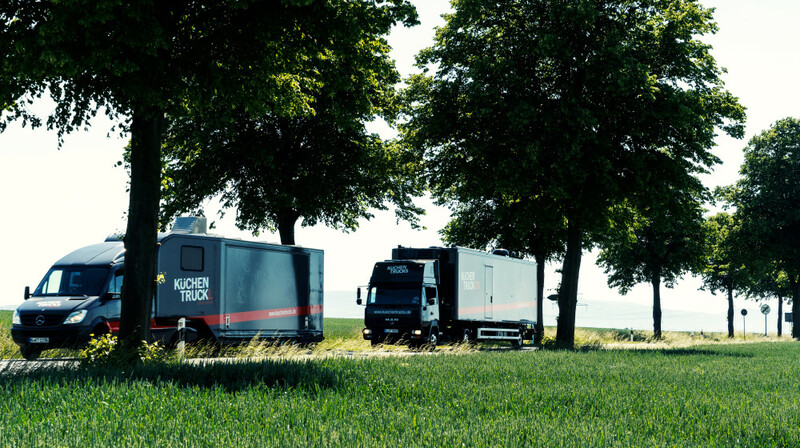 Our mobile canteen kitchens are available for events, film sets and exhibitions across Europe.